You can wait until your bone density decreases and then do something about it or you can be preemptive. What follows is the story of one person’s preemptive strategy. Corticosteroids are often prescribed for asthma as well. I take a corticosteroid when my asthma flares. I start at 60 milligrams and taper down to 10 milligrams. Imagine taking intravenous doses of 1000 milligrams of corticosteroids for five straight days and doing that four to six times a year. Glenn, one of the trainers at our Austin Strength Training facility, has been taking those high doses to manage his MS symptoms. In his words, he has been taking “an ungodly amount of corticosteroids” for 13 years. Glenn is 52 years old, and he takes no calcium supplements. He began doing high intensity strength training shortly after being diagnosed with MS – once a week, for 30 minutes for more than a decade. The T-score on a bone density test shows how much your bone mass differs from the bone mass of an average healthy 30 year old. For Glenn’s latest bone density test they were expecting a T-score in the range of -1.5 to +1. A T-score in the range of -1 to +4 is considered normal. He was surprised to learn his test result was 3. His bones were remarkably stronger than what they expected. Another client, Wendy began weekly 30 minute strength training sessions. Twelve months later her bone density had increased 12.4%. 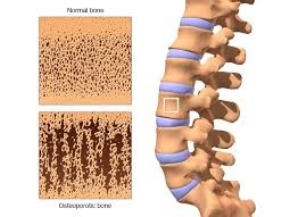 As osteopenia advances to osteoporosis it becomes less reversible. Don't wait until you have osteoporosis; take steps avoid the onset now. That’s what Glenn and Wendy have been doing. A study concluded that impact loading (jumping) was safe intervention to help middle-aged and elderly men maintain their bone density. However, compliance - getting the subjects to jump regularly - posed a problem. In the study 42 men aged 50 to 74 were assigned to three different groups. One group lifted weights for the upper body. The second group also lifted weights and did a high dose of impact loading jumping 80 times. The third group lifted weights and jumped 40 times. Result1: “This study indicates that while impact-loading exercise can be safely undertaken in middle-aged and older men, the current combined program did not elicit significant improvements in bone mineral density”. It is interesting to note that the high-dose jumpers had a 53% compliance rate; the moderate-dose jumpers had a 65% compliance rate. 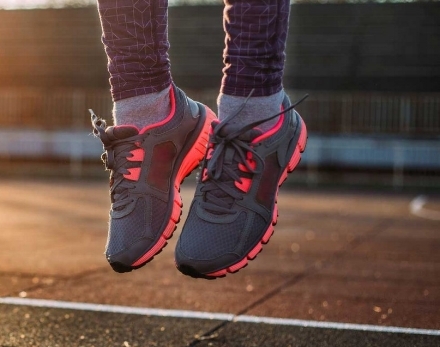 74-year-olds aren’t given to repetitive jumping for good reason. The more often you jump the risk of injury goes up. This is especially true as we age, as our bodies are not as resilient. There are safer options to effectively stimulate improvement of lower-body bone mineral density besides jumping. Strength training both the upper and lower body is a safer alternative to potentially dangerous lower-body impact loading. At our Austin TX Personal Trainers and New Orleans Personal Trainers locations to increase strength we use MedX rehabilitation exercise equipment and a protocol that is gentler on the joints. The body adapts to the demands placed on it. Stronger muscles generating more force will require stronger connective tissue and bones. One of our clients increased her bone density one standard deviation following our program.